Note that AppChooserDialog does not have any interesting methods of its own. Instead, you should get the embedded AppChooserWidget using get_widget and call its methods if the generic AppChooser interface is not sufficient for your needs. To set the heading that is shown above the AppChooserWidget, use set_heading. 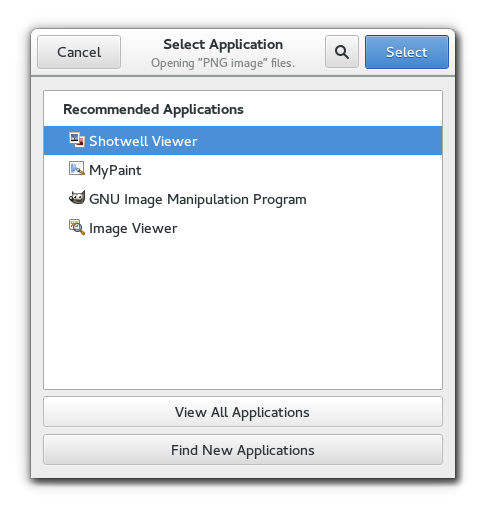 The GFile used by the AppChooserDialog. 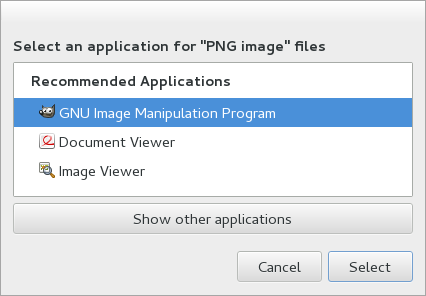 The text to show at the top of the dialog.